One of S cotland’s foremost development and mining groups Banks Mining has generated real media buzz following a visit to one of their operational mines by local MP, Hannah Bardell. Our Edinburgh based PR agency Holyrood PR was able to make sure that peoples interest was reflected by wide-reaching in-depth coverage in the press. 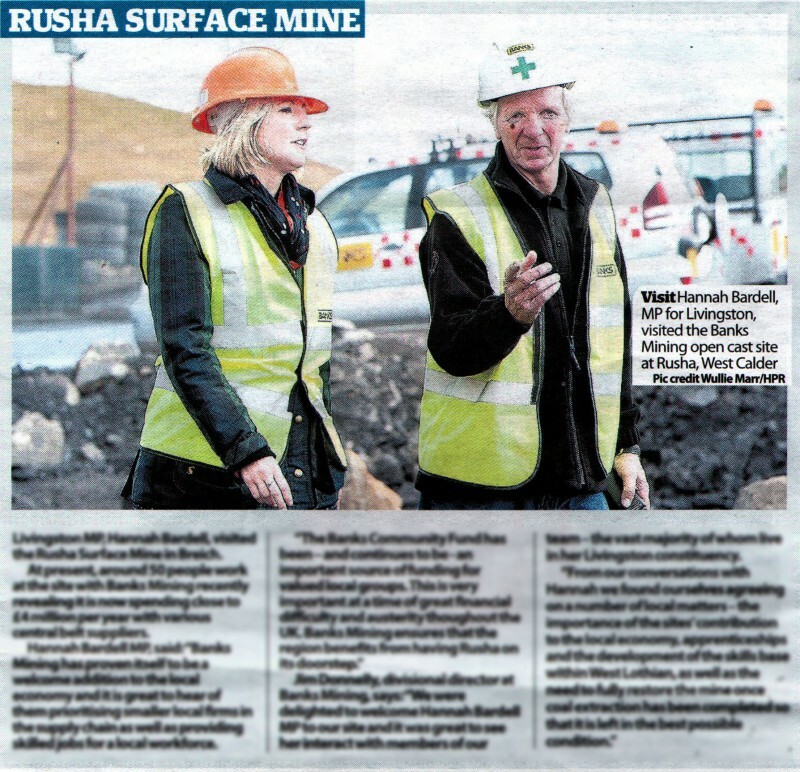 Ms Bardell visited the Rusha Surface Mine site to learn more about Banks Mining’s Caring approach to the community and multi-million pound investment in the local economy. The visit to the Hamilton based company’s Rusha site, which employs over 50 staff, was covered in local and specialist print. 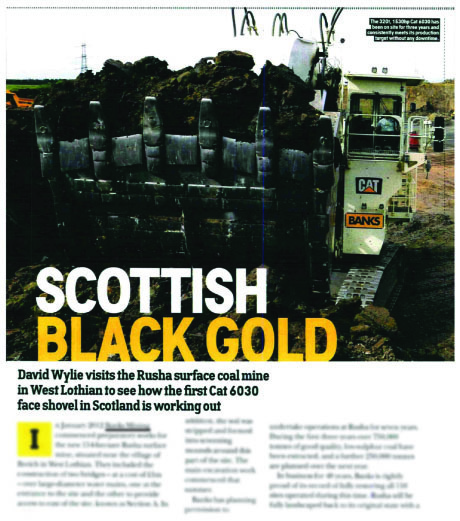 Featuring in the West Lothian Courier and Earthmovers Magazine. By featuring in the main local news source, we were able to ensure that the surrounding area is aware of the good work on its doorstep, while hitting trade press to boost the brand name for Banks within the industry. The coverage was part of the Holyrood PR’s ongoing public relations campaign that has given Banks Group increased exposure for their valuable contribution to their field and local economy. Does your PR need an energy boost?